LUXURY CABIN FOR TWO! Two night minimum booking. 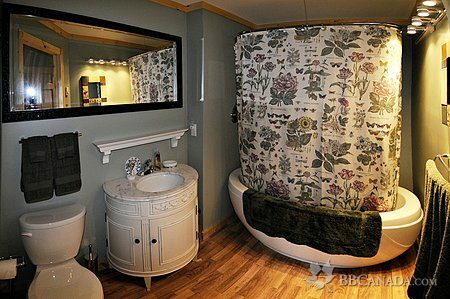 'The Heron's Nest Cabin' is $139.00 per night (2 guests). Add full breakfast $10.00 per person, please order when booking. 'The Loon's Nest Suite' is $129.00 per night (2 guests) but is only available for overflow when 4 guests are traveling together. STAYS OF 7+ DAYS - The 'Heron's Nest Cabin' is $129.00 per night (2 guests) and the 'Loon's Nest Suite' (used only when 4 guests are traveling together) is $119.00 per night (2 guests). Add full breakfast - $10 per person. Please order when booking. 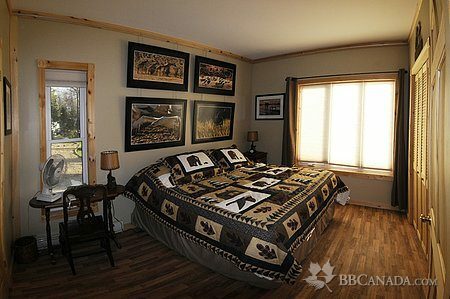 The 'Heron's Nest' is a fully equipped private cabin and the 'Loon's Nest Suite' is located in the main house with full ensuite and private entrance from the main deck. PLEASE NOTE that there are cats in the main house if you have allergies. 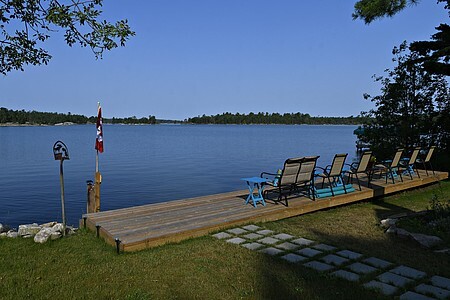 The 'Ruffled Grouse B&B' is situated on a point of land extending into the North Channel of Lake Huron with spectacular views of rocky island outcroppings and mature wind-swept pine! An area made famous by the 'Group of Seven' Artists! The cabin has a full kitchenette and BBQ for preparing your own meals. Make sure to pick up everything you need on your way here as the closest grocery and liquor stores close at 6 pm. The Ruffled Grouse B&B is minutes from the beautiful St. Joseph Island and a long list of things to do, and see, is provided in your booklet. 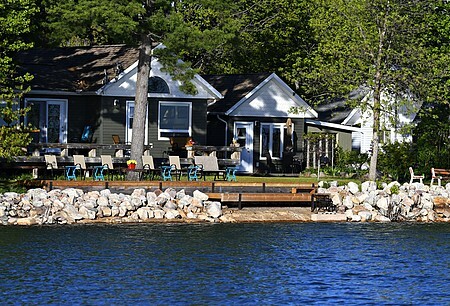 Enjoy exploring the North Channel of Lake Huron and the North Shore of Lake Superior! Or, just relax, swim, fish, paddleboat or canoe through the islands! Early morning pontoon boats tours are also available when the weather is calm. Check In/Check Out : Cash only, paid when you arrive. Check in 4 pm / Check out noon, unless otherwise arranged. Latest acceptable arrival time is 8 pm, so please plan your trip accordingly and make sure to call, in the AM, on your travel day with your ETA. Seasonal Information : OPEN ANNUALLY FROM MAY 15th to OCT 15th with minimum 2 night booking. OCT 15th to MAY 15th - I am typically closed during the winter months, but will open for stays of '1 WEEK or longer' that are booked well in advance.